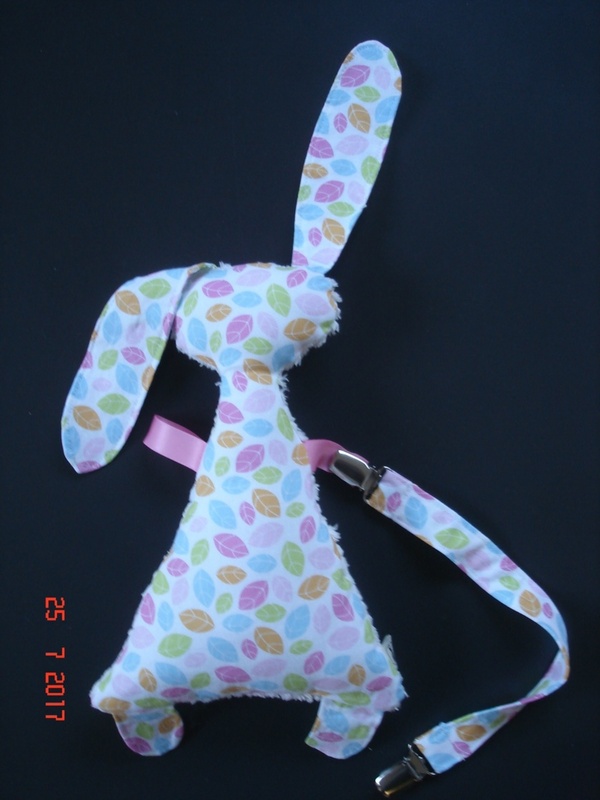 This beautiful Handmade & very cute Rabbit Taggie is a Sensory delight with Vintage textured material on one side to interest little fingers & lovely patterned fabric on the other side. 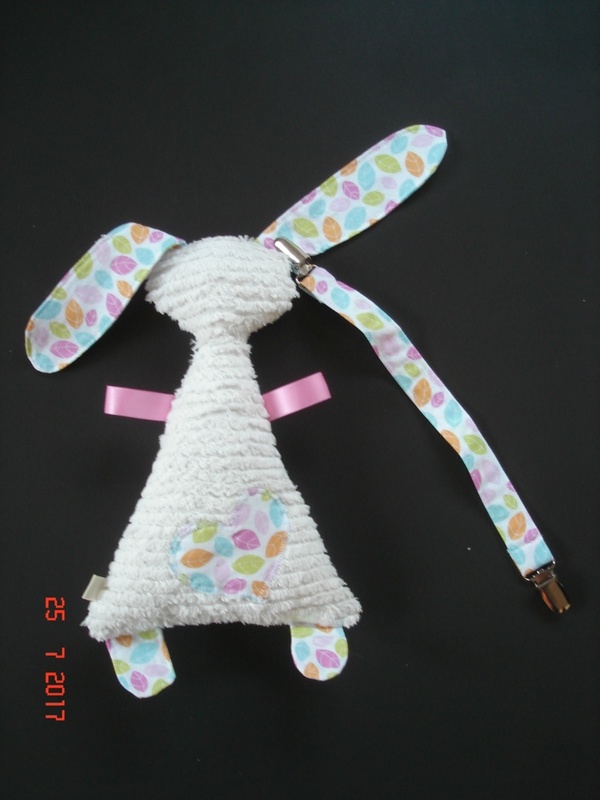 It comes with a strap that has a clip at each end so you can attach it to clothing or a pram etc so it wont get lost or drop on the floor. 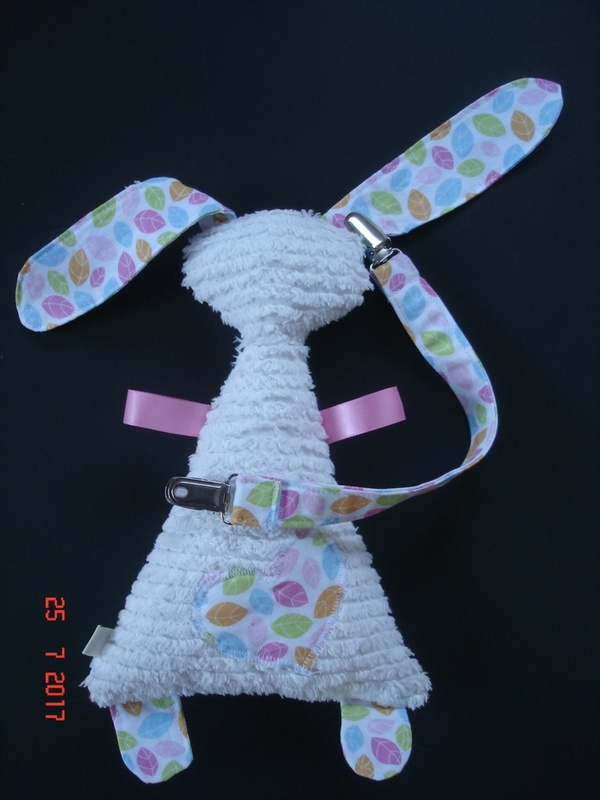 A delight for any Baby with "chew-able ears and feet with smooth touchable ribbons for it's arms. The patterned fabric side is 100% cotton, the other side has a lovely vintage fabric that has a great texture & is up-cycled cotton. There is an applique heart on one side to add further interest. This very cute & one of a kind Taggie will become a firm favorite. 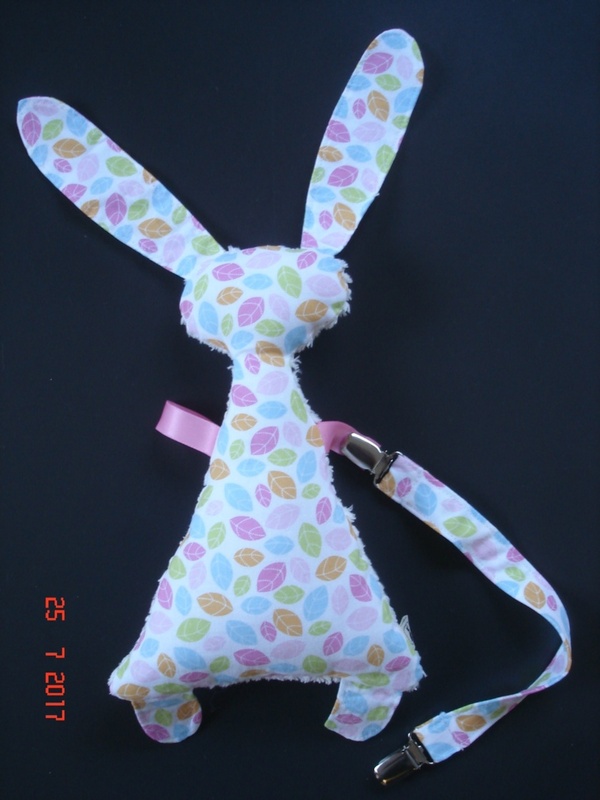 Measures 24 cm long excluding the ears & 16.5 cm at the widest across the bottom. Taggie Taggy Baby shower new born gift.